Our vision: an inspiring place where future projects are born. 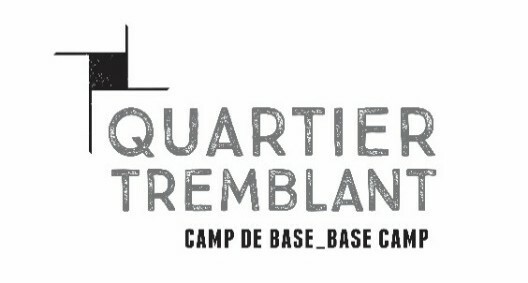 The first stop before countless encounters and the starting point of many experiences yet to be had, we present: Quartier Tremblant – Base Camp. Blending sports, wellness, music, relaxation, exciting food and nightlife, Quartier Tremblant redefines group and business get-togethers in a natural country environment. The wide variety of unique areas and personalized programs aim to improve the efficiency of your meetings, all the while promoting the well-being of participants and their achievements. Brainstorming sessions in the pedestrian village, relaxing moments on the mountain, team-building tours with Ziptrek, project presentations at the beach … we offer solutions for all of your meeting objectives! With gathering spaces and activities throughout the resort, we’ve thought of to break with the traditional look and feel of meetings: spaces for reflection, learning and sharing of skills through participation, consultants to support and coach, healthy meals, energizing treatments, cozy accommodations, ares that are conducive to creativity and interactions – all in a friendly and safe environment where everything is within walking distance. Take your team to the top! It all starts at the Quartier Tremblant Base Camp. Whether you’re an event organizer, or simply have a large group to lead, let us guide you in planning your meeting. You can reach our sales team at corpo@tremblant.ca at anytime to assist you with planning your next team meeting at Tremblant. Fall Health and Wellness series – Blog 1 : Get your oxygen fill! Get geared-up for bike season!